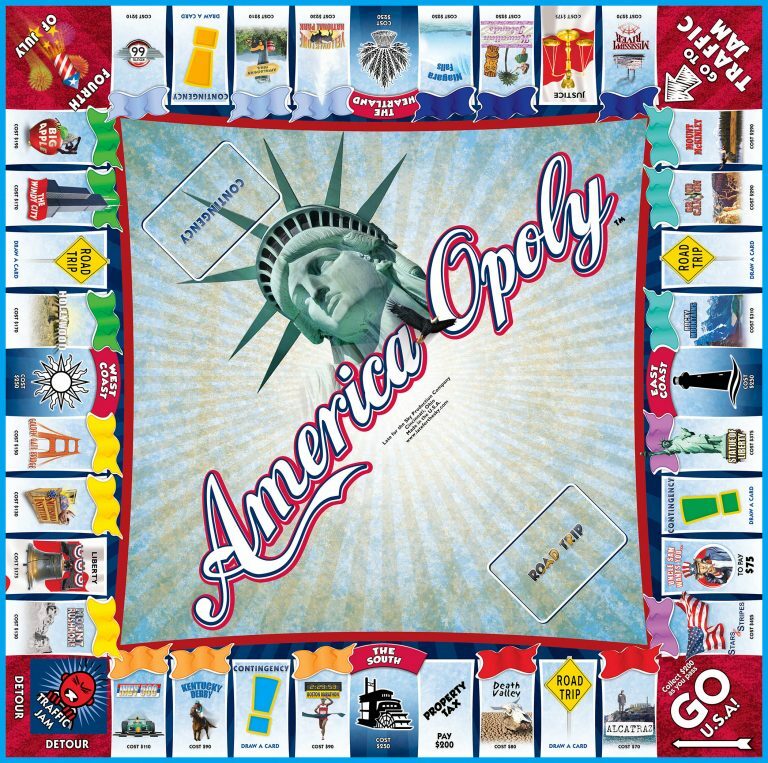 AMERICA-OPOLY is a game that celebrates our great nation. AMERICA-OPOLY is a game that celebrates our great nation. Buy properties such as the Golden Gate Bridge, Route 66, the Statue of Liberty, the Grand Canyon or Niagara Falls. Collect Homes and trade them in for Estates. Land on the Fourth of July and scoop up the cash from the center of the board. Pick up $200 each time you pass GO U.S.A., but beware...you may end up in a traffic jam and lose three turns. Or worse yet, be audited by the IRS! Whatever happens, AMERICA-OPOLY is good ol' American fun for family and friends.